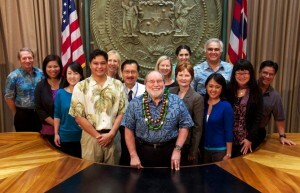 HONOLULU – Upon the completion of the state’s first Transformation Internship Program (TIP) session, Gov. 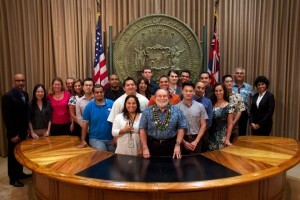 Neil Abercrombie recognized the spring 2013 participants in a special ceremony held today in Executive Chambers. 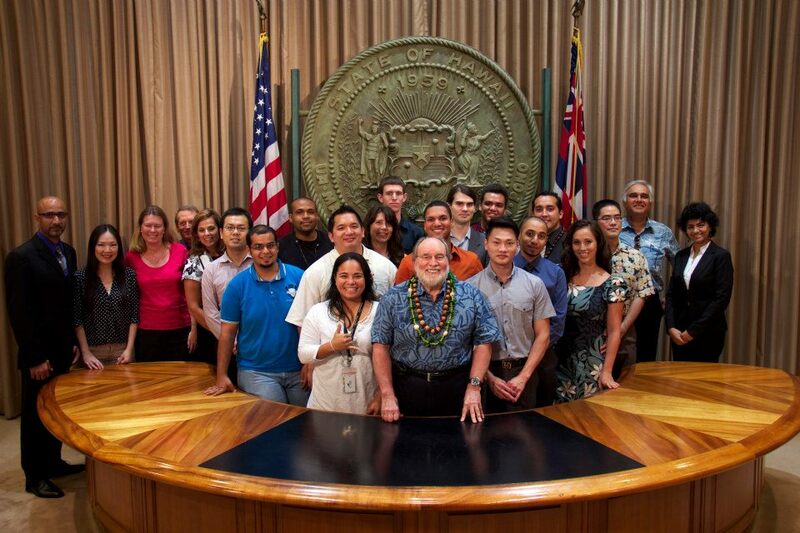 The innovative internship program provides Hawaii undergraduate and graduate students the opportunity to work alongside innovators within state government and gain hands-on experience in a wide range of areas. At the ceremony, the Governor presented certificates of appreciation to 22 students able to attend with friends and family (A total of 45 students participated in the spring session). 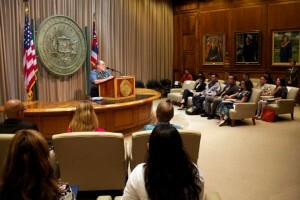 He also recognized state Chief Information Officer (CIO) Sanjeev “Sonny” Bhagowalia, Deputy CIO of Business Transformation Randy Baldemor, Department of Human Resources Development (DHRD) Deputy Director Leila Kagawa, and Enterprise Honolulu President and CEO Pono Shim for their part in the session’s success. 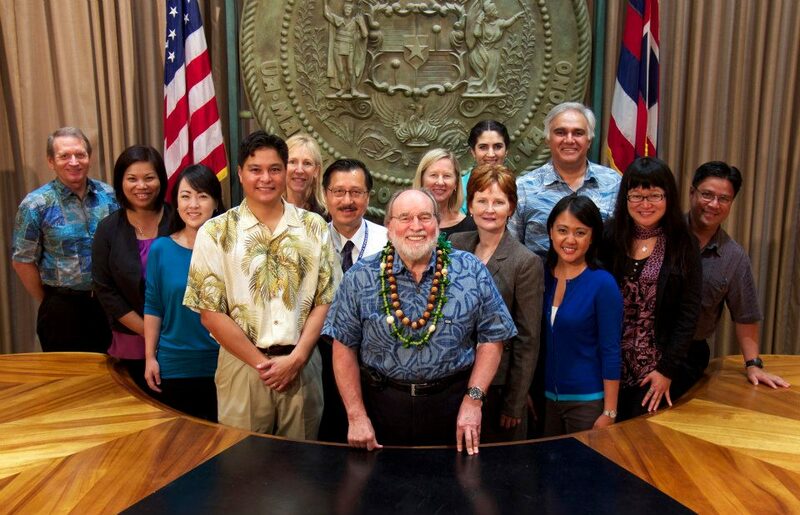 Governor Abercrombie with Program Leads and Mentors of the 2013 spring TIP session.